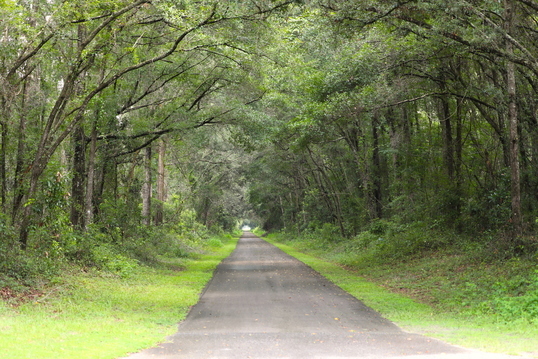 TALLAHASSEE, Fla. – In celebration of Florida Greenways and Trails Month, the Florida Department of Environmental Protection invites residents and visitors to explore the unique paths found throughout the Sunshine State. Florida has more than 10,000 miles of land-based trails and 4,000 miles of paddling trails that attract millions of visitors, promote healthy lifestyles and support Florida's economy. In celebration of Florida Greenways and Trails Month, events are being hosted statewide. Celebrate the 50th anniversary of the National Trails System at the Florida Trail Association National Trails Festival in DeLand, Oct. 5-7. Paddle the Suwannee River Wilderness Trail from Madison Blue Spring State Park to Branford during the 11th Annual Fall Trip, Oct. 19-24. Hit the trail for the 38th annual Gainesville Cycling Festival, which kicks off Oct. 20-21.